#Office365Challenge Still having fun with validations. 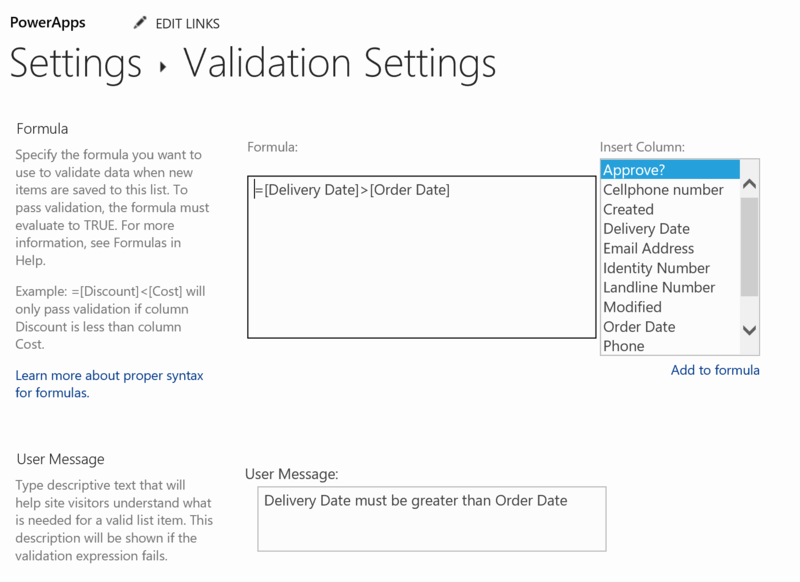 Today’s post looks at date validations. I cannot be more impressed by SharePoint’s validations on lists / columns. I have to admit I’ve always done these with either InfoPath or Nintex. So this has been quite an interesting journey learning what’s possible. However, I do struggle finding enough information on these. If you have formulas you’d like to share, please comment. I will test, blog and give you credit of course! Learning through sharing remember. In the previous couple of blogs we’ve looked at forcing field completion based on another column’s input, forcing the completion of one of two columns, validation on minimum length of characters, telephone numbers, identity numbers and email addresses. 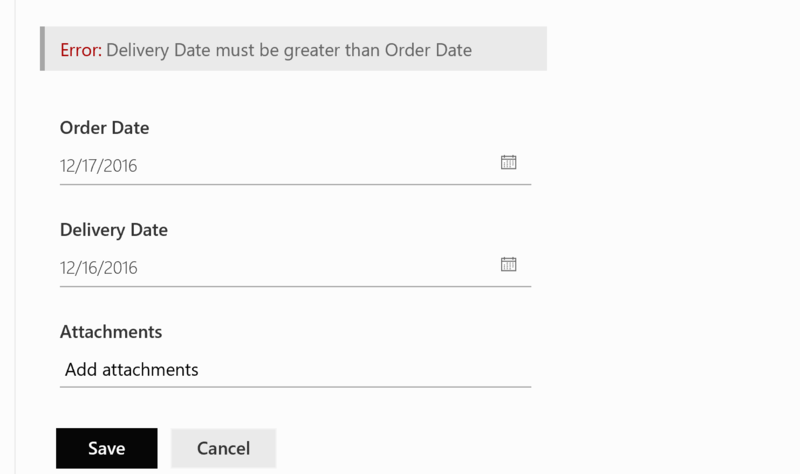 Example 1: Date should be greater than…. This is done as a list validation by going to the list settings (see previous blogs if you’re not sure how to do this). It cannot be a column validation as it references other columns in the formula. Below you’ll see the User Message when dates do not validate. I tested another formula to only allow Delivery Dates, 14 days and more after the Order Date. Very simple and works like a charm. Now that was real easy!